Mark your calendar for the CAC’s annual summer fundraiser! 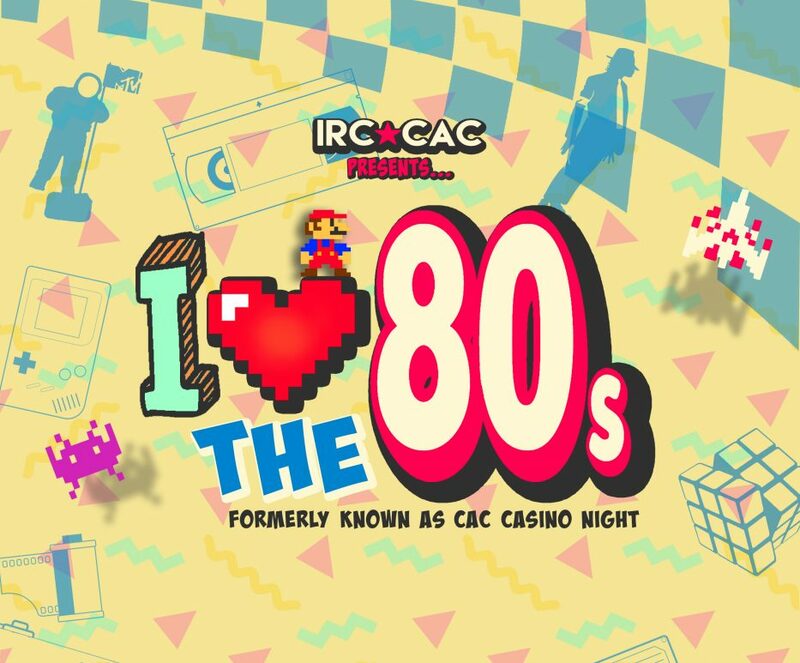 CAC Presents – I Love the 80’s, formerly Casino Night, will be a night filled with totally bodacious 1980s fun. This, like, totally awesome 80s party is for IRC Consumers 16 and older, and their guests. 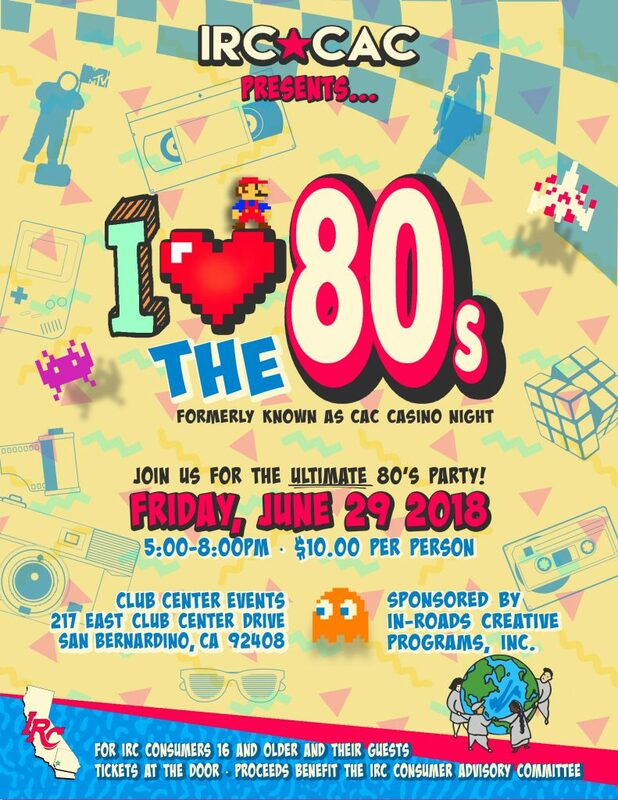 I Love the 80s will feature food, beverages, dancing, raffles, games, a photo booth, and more. All for just $10. Visit our event page for details dude!